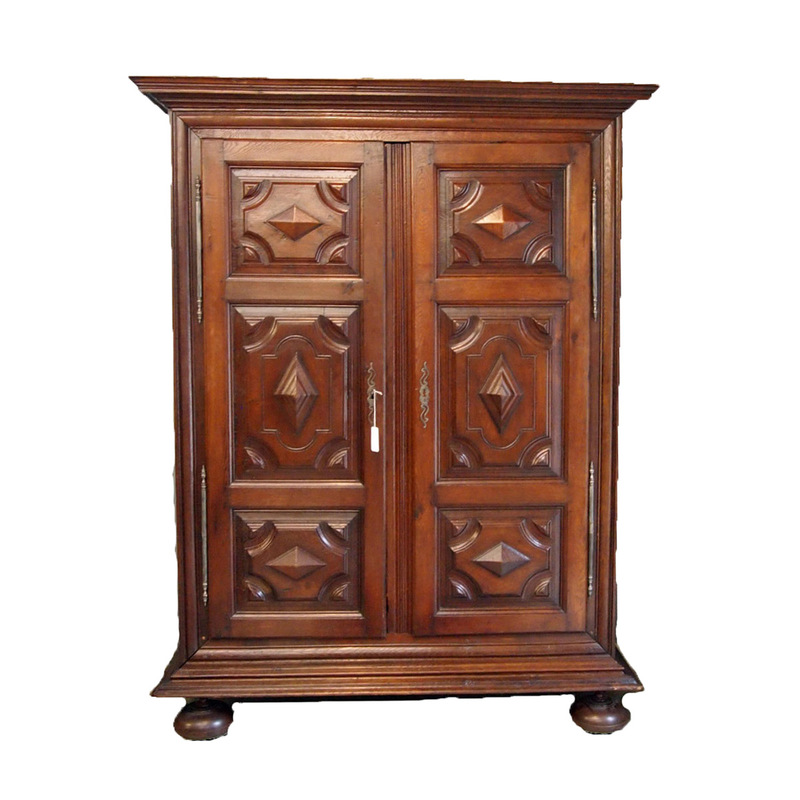 Features the traditional Louis XIII diamond geometric design on high relief doors over bun feet. Measures 90″ high, 68″ wide, and 28″ deep. $5,700.